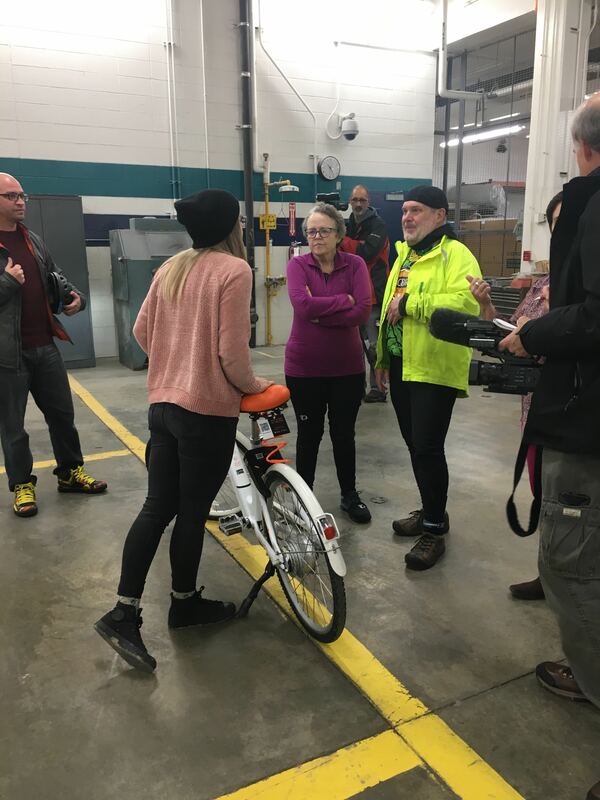 BikeWalkKC is pleased to announce a new partnership with RideKC and Drop Mobility, a leading micro-mobility provider to bring shared-use electric assist bicycles to Kansas City. 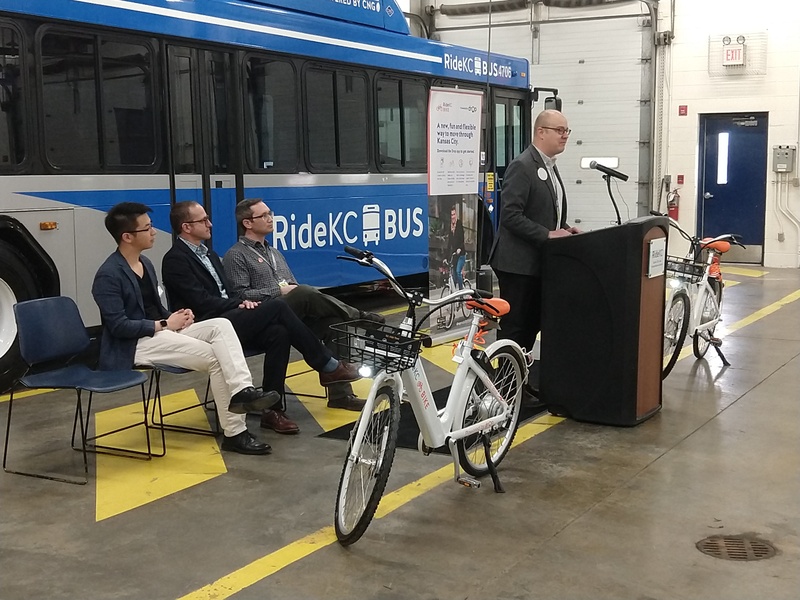 The newly branded RideKC Bike program, powered by Drop Mobility’s hardware and software, launched today with a press conference at RideKC’s headquarters. 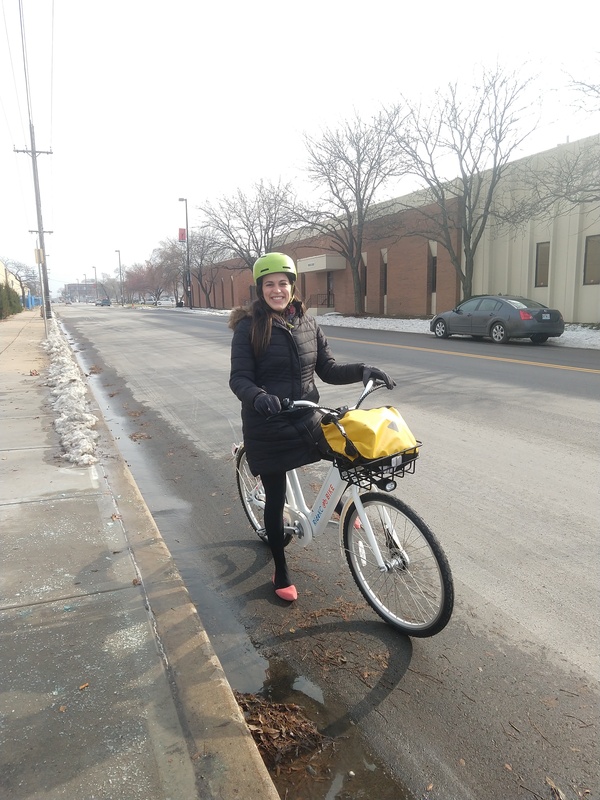 RideKC and BikeWalkKC are planning a “soft” rollout: a handful of e-bikes are expected to hit Kansas City streets in mid-to-late December, with the fleet eventually expected to grow to 150 bicycles over the coming months. Electric-assist bikes boost riders over Kansas City’s famously hilly terrain, and expand riders’ range. A rider who may ride 2 miles on a regular bicycle can now feel confident to extend their trip to 5 miles and still have energy left for the return trip. Commuters who were hesitant to bike to work for fear of arriving sweaty and unkempt can leave the car in the garage and trust the bike to reduce their effort! Whether for short trips to the grocery store (the bikes feature roomy front baskets) or for a longer recreational ride, these electric-assist bicycles are a game-changer for anyone who has ever considered using bike share. The bikes will feature app-based, “lock-to” technology that will work alongside the existing bike share system: using a smartphone app, a user locates a bike near them and unlocks the bike. When finished riding, the user parks and locks the bike to any bike rack or existing bike share station, or docks at an existing bike share station. The app will provide location information for “hubs” or bike parking station locations. Operating staff will maintain the bikes in excellent working order. The bikes are equipped with on-board GPS, which notifies staff when the bike needs service or charging. When will the e-bikes be available to ride? We expect the initial wave of bikes to land on KC streets in mid- to late December of 2018, with more e-bikes continuing to roll out through Spring 2019. How does the electric-assist work? When a rider begins to pedal, the bicycle’s motor provides extra power to each pedal stroke. There is no “throttle,” and the motor is regulated to 20mph and under. No. The lock-to technology requires that these bikes be locked to a bike rack, or docked at an existing bike share station to end the trip. Does my Bike Share KC membership work with the RideKC Bike ebikes? These e-bikes will work in parallel with the existing bike share program. Existing Bike Share KC members will be provided credits to use the e-bikes; more details will be provided to existing members soon. This project is funded via a partnership between Drop Mobility and BikeWalkKC. Posted in BikeWalkKC News, News and tagged bicycling.